When you’re visiting Hilton Head Island off the coast of South Carolina, don’t go where all the tourists go. Instead, try these four local restaurants that serve up the best seafood in the most beautiful settings. Since I was a child, I’ve been visiting South Carolina’s Hilton Head Island with my dad for spring and summer ocean retreats. Enjoying fresh, local seafood was always part of the experience, even for a picky young eater like me. While I might not have dared to slurp oysters, I was just fine eating fried popcorn shrimp. 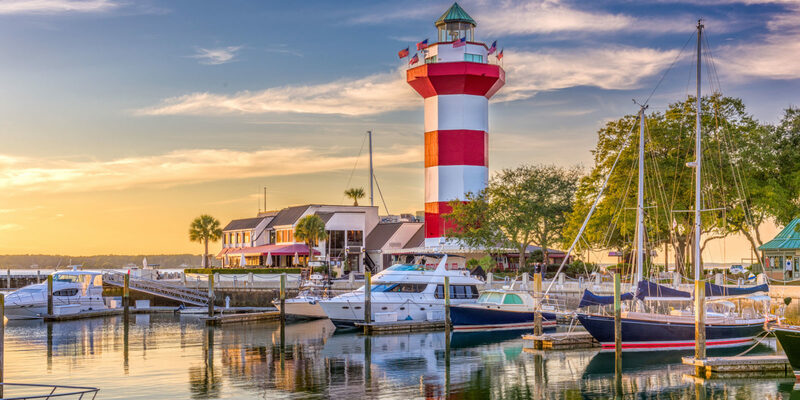 Hilton Head Island has grown and changed a lot since I first visited as a child — it now has many trendy new restaurants. But don’t miss this handful of classic, can’t-miss seafood eateries during your next trip to this Lowcountry paradise. Open since the 1970s, Hudson’s is a must. A former oyster factory, the building was severely damaged in 2016’s Hurricane Matthew, but the restaurant was thankfully able to reopen within a few weeks. When I was a kid, going to Hudson’s was always an event; it’s located on the north side of the island along Skull Creek, which is a bit of a drive from the main part of Hilton Head. After the drive, we usually had to wait for a table due to the restaurant’s small size and local popularity. Luckily, there were plenty of interesting things for kids to do and see around the marshes and docks, including the magnificent shrimp boats. When I returned with my children several years ago, they too loved exploring while waiting for our seats. I’ve always been a huge fan of Hudson’s hush puppies, which the owners describe on their website as “light, round, oniony cornbread” and “habit-forming” (indeed!). They also serve succulent shrimp, which are caught right off the docks outside the door. When visiting Hudson’s in the summer, plan on a long wait. Alternately, plan to eat earlier or later than traditional dinnertime, or visit during the winter months when there are fewer visitors. While this historic restaurant hasn’t been around for quite as long as Hudson’s, it’s built on the site of an old oyster cannery that shipped oysters all over the Lowcountry of South Carolina. For the past 25 years, the restaurant has offered diners panoramic views of Broad Creek and scenic marshland. It’s a wonderful addition to any Hilton Head vacation ––after all, when you come to the beach, eating waterfront is a must! 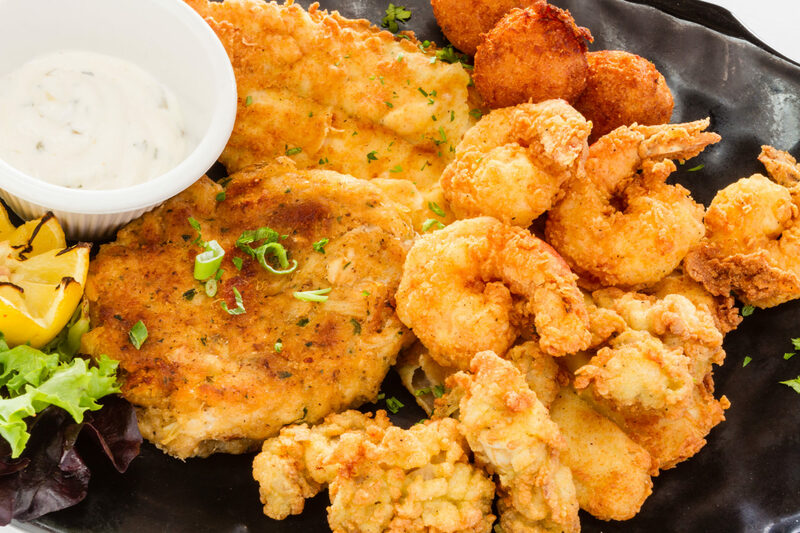 The Old Oyster Factory serves local seafood with plenty of oyster specialties, of course, along with scallops, crab cakes and fresh fish. This casual café is a great stop for a cocktail or tropical drink for the over-21 set looking for relaxing outdoor beach bars. Try the Signature Salty Dog, served with grapefruit juice and vodka, or the Salty Dog Sangria. 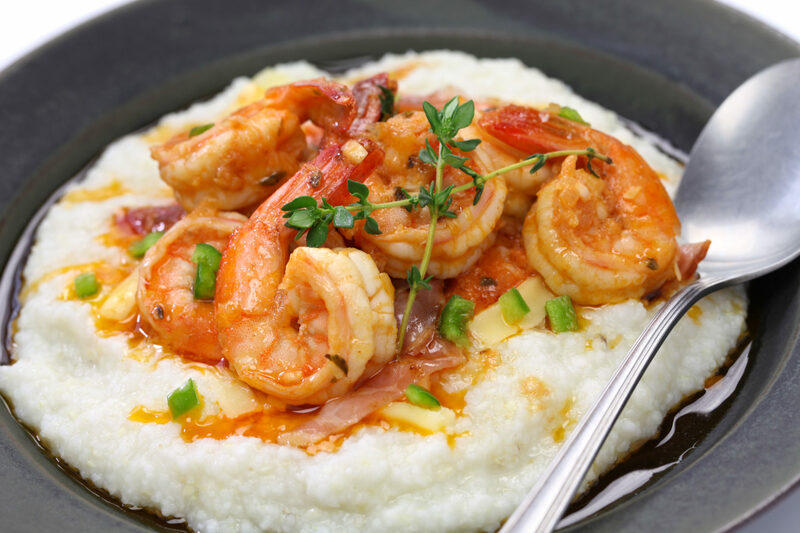 There’s also plenty of tasty dishes on the dinner menu, including gator bites (made from real alligator), sweet hush puppies or shrimp toast (shrimp tossed with cheese, garlic and spices on a hoagie roll) — and that’s just the appetizers. 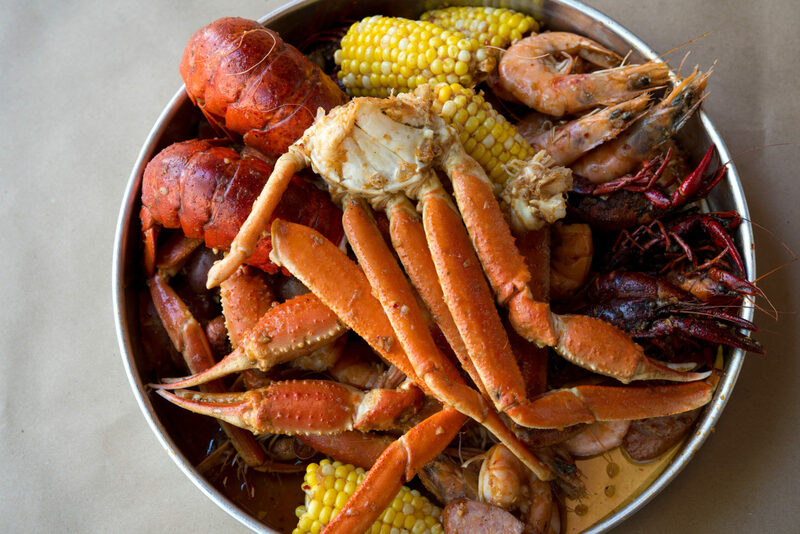 For dinner, you can’t go wrong with the Lowcountry Shrimp and Grits, the Seafood Pot Pie or Jake’s Lowcountry Boil, a classic South Carolina tradition of shrimp, sausage, potatoes and corn steamed in a large pot. When in the Lowcountry of South Carolina, be sure to try the local specialty, She Crab Soup. The creamy broth is made with the meat of a female crab and spiked with sherry. Skull Creek Boathouse is situated on the northern edge of Hilton Head Island, along Skull Creek. It’s another great local seafood spot that lets you dine by the waterfront. The eatery has been featured by The Travel Channel, The Food Network, Forbes and NatGeo for its unparalleled food and atmosphere. 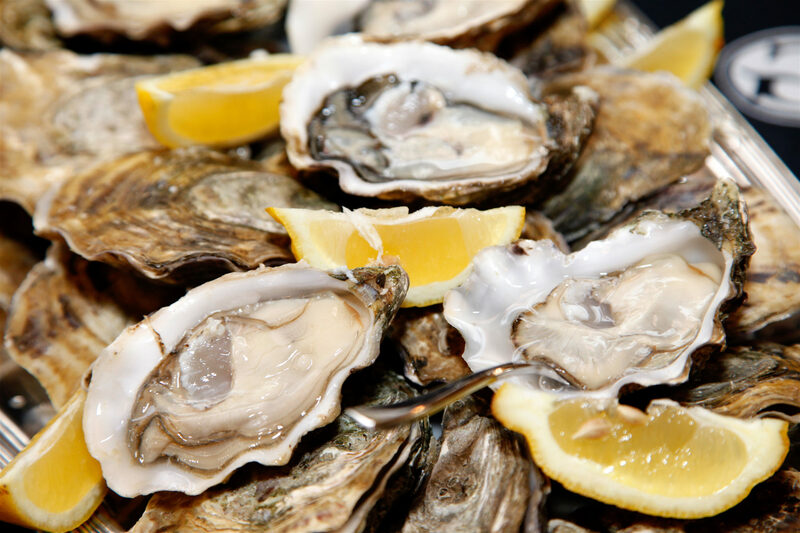 You’ll often find live music, especially during the busy summer months, and oyster roasts during months ending in “r” (those are the only months you’re “supposed” to eat oysters). Additional popular offerings are the summer beer garden and the year-round sushi bar. For a unique souvenir, stop by the Skull Creek General Store. On the menu, you can pick from your choice of seafood — shrimp, scallops, conch, today’s fish and more — and then decide how you want it prepared: Asian, Tropical or Latin style.